« Whether- Who- And Why So Long? 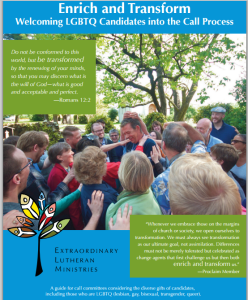 ELM’s Ministry Engagement program connects congregations allied with ELM’s mission. Team member Malina Keaton has recently been interviewing some of these congregations to find out what makes them so, well, extraordinary! We hope their stories will inspire you. 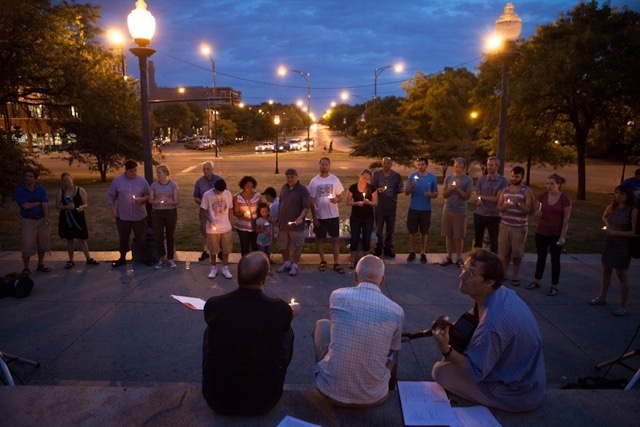 This week we turn to St Luke’s Lutheran Church of Logan Square in Chicago. 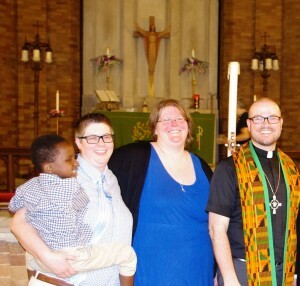 Catherine Swanson (middle) and family with Pastor Erik Christensen. To Catherine, this openness is not limited to sexuality, and reflects a congregation’s willingness to grapple with other difficult faith discussions or topics that are typically pushed aside in other ministries – a message that can prove invaluable to those who have felt marginalized by church communities. St Luke’s community out in the neighborhood. Pastor Erik’s welcoming nature is especially poignant since he himself faced discrimination at the church door. When Erik completed his Masters of Divinity, the ELCA was not ordaining openly gay candidates. 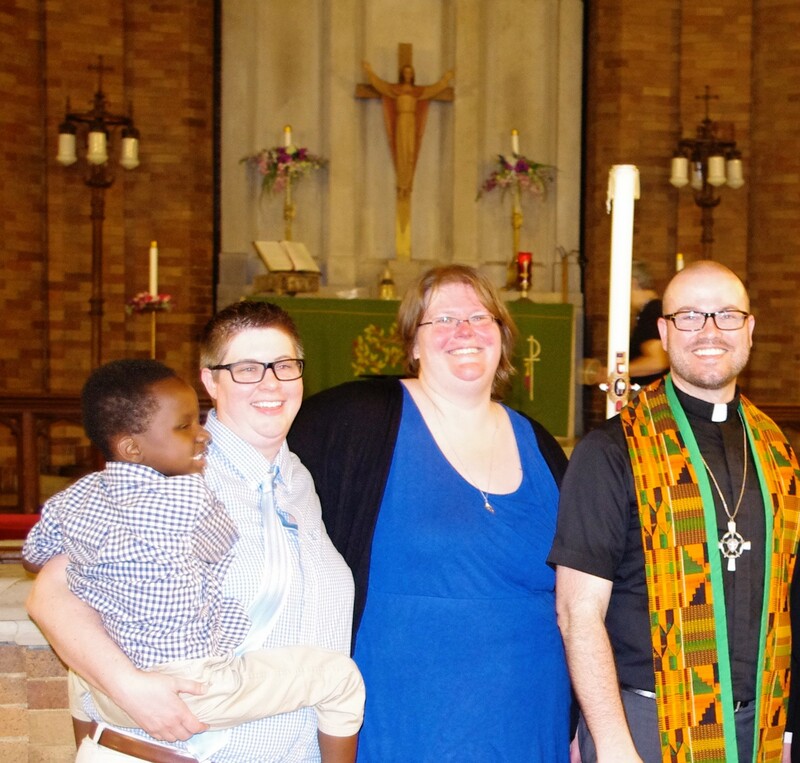 Erik was ordained extraordinarily in 2006 and was only received onto the clergy roster of the ELCA in 2010 after the ELCA began ordaining and receiving LGBTQ clergy. But as many LGBTQ seminarians and clergy have come to understand, this denominational policy change has not shifted the day-to-day rejection or hostility they face. That is why ELM and congregations like St. Luke’s are invaluable to those receiving messages that they do not belong in church. 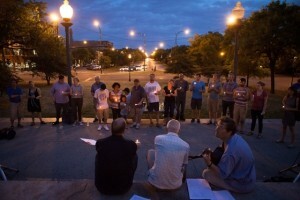 Congregations connected to ELM and Proclaim clergy in turn have a unique opportunity to not only uplift seminarians throughout the call process, but to inspire them to action in the church and surrounding communities by offering voices of welcome and acceptance – voices that continue to be needed in the church today. 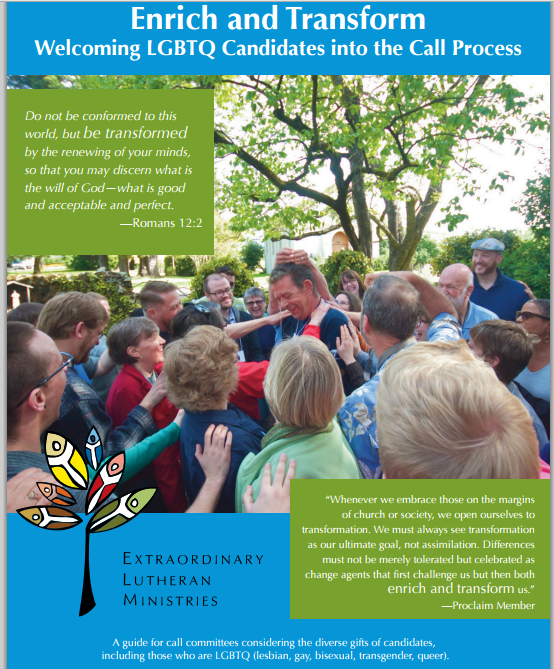 To find out more about how your congregation can be more extraordinary(! ), see our resource for congregations and call committees – Enrich & Transform: Welcoming LGBTQ Candidates into the Call Process. This entry was posted on Wednesday, July 29th, 2015 at 8:00 am	and is filed under Blog. You can follow any responses to this entry through the RSS 2.0 feed. Both comments and pings are currently closed.